Aspen Insurance’s 15,000 sq.ft. 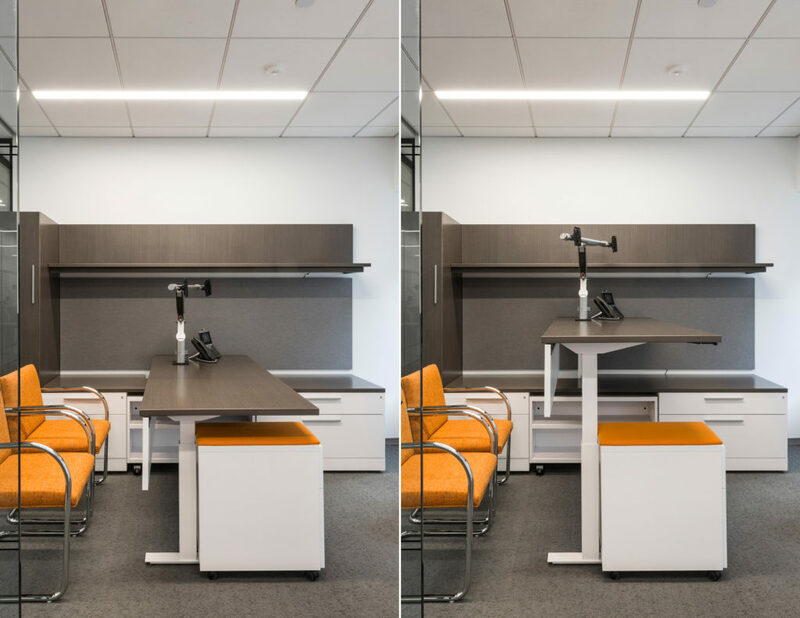 headquarters in Midtown East of New York, NY called for height-adjustable desks throughout their new office. 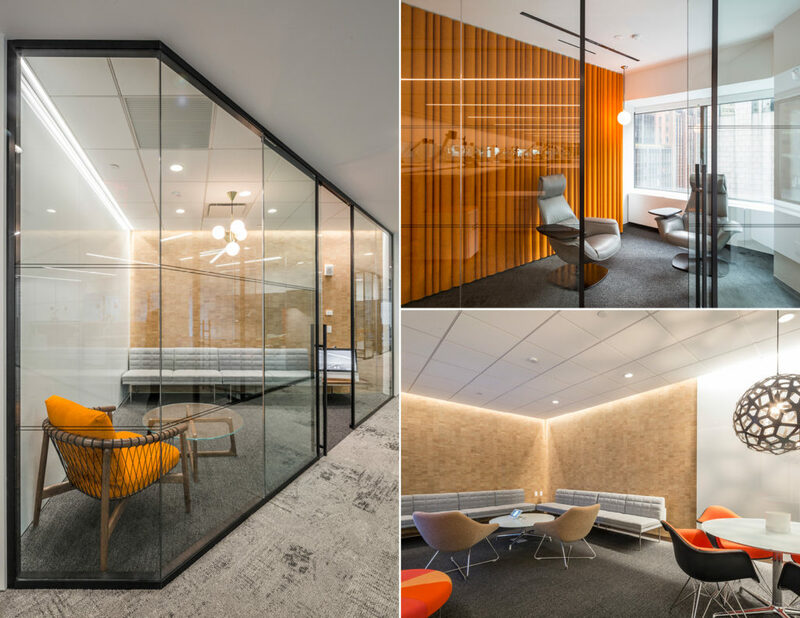 Designed by the Switzer Group in partnership with Arenson and Knoll, a loop around the office feels like a tessellation of workstations broken up by private offices that flow seamlessly in function and framework. 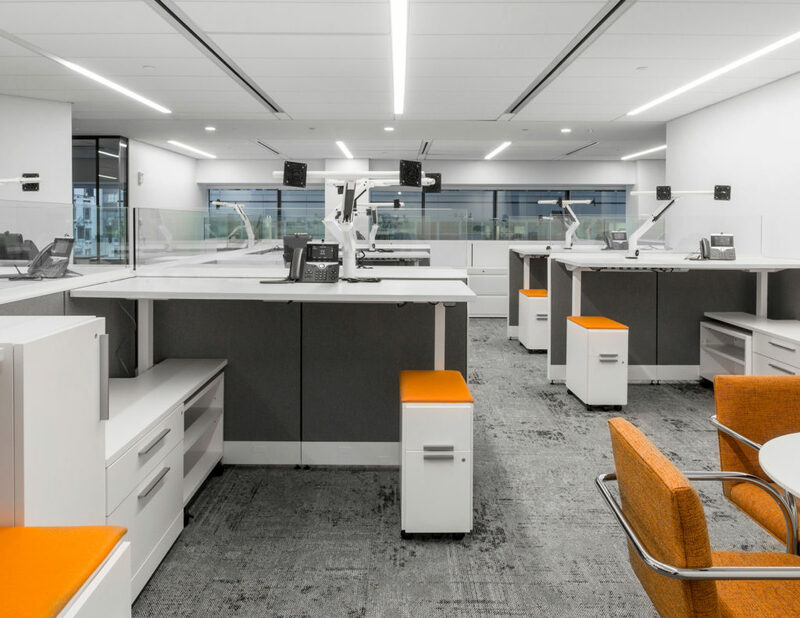 An industry concern facing the use of height-adjustable desks is the desire for refined mechanics that achieve a cleaner look. The majority of end users want sophistication. As a result wire management is an increasingly important feature. 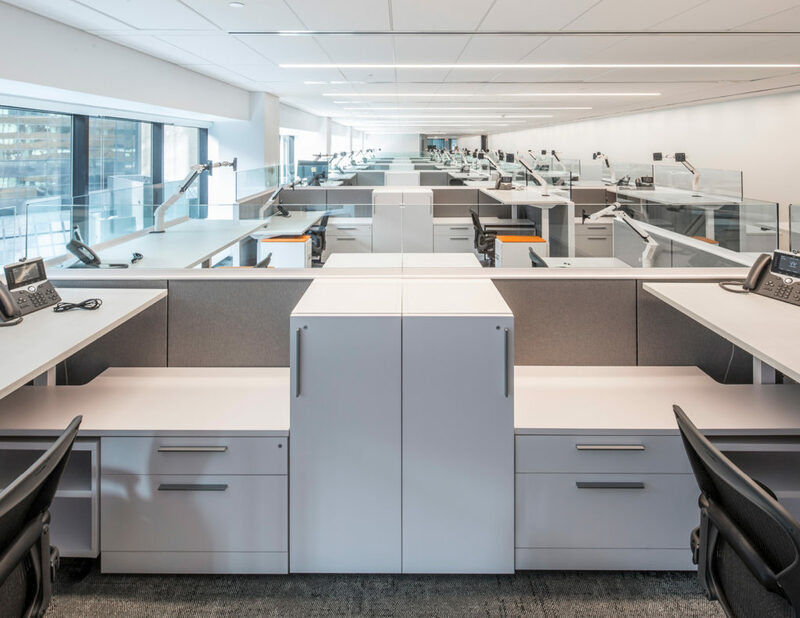 Arenson worked with Knoll to creatively push standard Knoll product and provided a custom solution for height-adjustable systems that answered the client and architect’s concerns. Arenson used Knoll Tone tables, which offered various options in which the mechanics could be strategically hidden, yet accessible. The slim profile and adaptability of Tone tables within Knoll systems product provided the framework where the leg could be hidden behind a custom storage piece. In return, this not only hid the mechanics, but also increased the overall circulation space for each user. This solution was then adapted throughout the office for the various workstation and private office configurations.